Food & Cooking – Apprentice Mages Lounge. Making Miso – Batch 1 finished. The batch of miso I made back in November finally came out of the fermenter over the weekend! Very tasty, though it tastes more like shoyu than miso. (The two are closely related, so this isn’t a big surprise.) To be honest, I didn’t expect any particular flavor as I didn’t target any actual style. My usual method of learning to make new things is to just aim for the general vicinity… and then refine as I master the skills and techniques. Hopefully, this means that by November I’ll be able to make miso soup entirely with my home-made miso! Author DerekLPosted on 2018-08-01 Categories Food & Cooking, Life OfTags Food & Cooking, Life Of, Miso7 Comments on Making Miso – Batch 1 finished. If you’ve read my About page, or followed my twitter, you know I’m into food and cooking and have been exploring pickling and preserving… And you also know from here on the blog that my interests in Japanese culture extend beyond anime. 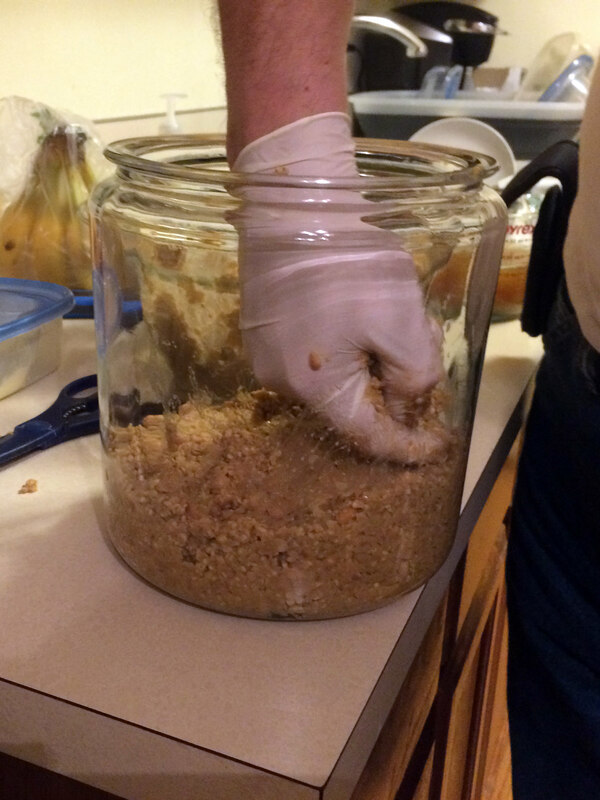 So, all that comes together in my latest project – making my own miso from scratch. So, let’s hit the jump and take a look at the process! Welcome to this week’s Worth Reading! Last week I linked to a review of Kiki’s Delivery Service and pondered on why Ghibli movies were so rarely reviewed. Reader Dawnstorm however provided the simplest and most likely explanation – the anime community concentrates mostly on streaming and current season stuff. That being said, reviews of and articles on older stuff aren’t exactly uncommon. Truly Trash Media posts a look back at the classic Angel Beats – the second anime they saw. (Though they don’t say when that was.) It’s a fun read, because Angel Beats was also among the early shows I watched. After watching it, I told my wife “there might be something to this anime stuff” and we sat down and watched it together. There’s been few if any other shows that I’ve ever immediately re-watched. To be fair, that may be for the reason Dawnstorm gave – as one season ends, it’s time for another without much of a break. Frog-Kun at Fantastic Memes reposted an older column of his comparing the LN and anime versions of INVADERS of the ROKUJYOMA!?. Though mostly forgettable, it was a fun little show. There’s one scene in Ep3, a Crowning Moment of Awesome (Warning: TV Tropes link) for Yurika, that I do re-watch now and again. I just love the look of determination she gets right before her henshin sequence… Wait a moment – I’m a Magical Girl! I’ve got this! Frog-kun also authors a piece at Crunchyroll “Hanasaku Iroha” – The Good, The Bad, and the Kawaii. Sakura Quest (whose finale aired today) was marketed as part of a thematic trilogy with 2011’s Hanasaku and 2014’s Shirobako, which makes this article particularly timely. The article is worth reading, and the anime worth watching. In some ways, Hanasaku illustrates what Sakura could have been and fell short of. Scott at Mechanical Anime Reviews discusses why he liked the original Kino’s Journey and his concerns over next season’s reboot. Last week’s Worth Reading post had an interesting conversation on adaptations down in the comments (scroll down to read them), they’re worth checking out. Feel free to add your thoughts. Adaptations and their issues just keep coming up. I should probably just create an ‘Adaptation’ tag and be done with it! Irina at I Drink and Watch Anime posts an interesting piece – Why I keep watching bad anime. C’mon, it’s something we’ve all done – watched a piece of complete trash coughLove&Liescough right through to the end credits. I know I have. Yukinocake at ShinYuu posts on Japanese Breakfasts. Very different from what I’m used to eating for certain! (Usually cereal, unless there’s leftover pizza – then pizza.) I keep meaning to talk more about food & cooking here, it’s one of my favorite topics. As usual, hit the jump to see the ‘below-the-fold’ material. Bonsai, my favorite villians/antagonists, and a dream about ani-blogging!